If you’re serving web content or web pages to different countries, it’s critical to get your local SEO right. As the mantra goes – Think Global Act Local. Aside from local SEO issues, having similar content on multiple pages targeting different regions, might be considered duplicate content. So, to avoid any similar content issues and to address local SEO best practices, it’s important to follow Google’s guidelines. I’ve run many SEO courses with brands who have made the leap of producing regional, sometimes multilingual content, but have missed SEO opportunities by not deploying the rel=alternate hreflang annotation. Whether you are targeting users around the world using the same language, or translated content, the rel=”alternate” hreflang=”x” annotation will help Google deliver the correct language or regional URLs to people searching for specific content on local search engines. 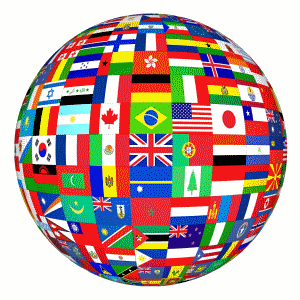 All of your web pages are all in one language and you have similar content targeting different regions. For example, your content is English, but you are targeting audiences in the UK, US and Australia. Your website content is 100% translated. E.g. you have English, French and German versions of each page. Part of your page is translated e.g. the footer or header, but the main content is in one language. Using the rel=”alternate” hreflang=”x” annotation is pretty straightforward. If you’re serving multiple languages (across multiple web pages), every unique language page must identify itself as well as the other language pages. E.g. if you are producing French, Spanish and English versions you should include a rel=”alternate” hreflang=”x” link for the page itself as well as the other language versions. This can also apply to pages that contain the same language content, but target different regions, the most likely example being English content targeting English speaking countries such as Ireland (en-ie) and Australia (en-au). Question…we have multiple shipping pages on our english site that we want to have translated versions of. How should I use the hreflang on pages like this…if we will only have about 5 translated pages on the site? Hi Jeff, I’m happy to take this offline. Find me on LinkedIn, and I’ll answer your request in full. What if your pages have versions in many languages and countries, plus has mobile versions for some locations and languages? How do you handle those? Yes, I’ve seen that discussion, but what it is missing is alternative languages for the mobile versions. Is something like this valid?